Home Parrot Adoption Give a Bird a Home – Adopt A Parrot! We are so happy to finally have our new page Parrots for Adoption page live! We are presenting you all the feathered friends from the Melbourne Avian Rescue Sanctuary with pictures and all the relevant info, categorized by type of birds. To kick things off, we introduce you to the Macaws that we have for adoption – but soon we’ll add all other kind of parrots which are waiting for new homes, including African Greys, Amazon Parrots etc.! These are only two of our various feathered beauties. On the left, you see Nikita, the beautiful blue and gold parrot; and on the right there is Mango, the cheerful Harlequin parrot. Please go to our Parrots for Adoption page for info about the other birds which are available for adoption. This is all geared towards helping you to find the right parrot for your unique home. That is the ultimate goal of our parrot rescue! 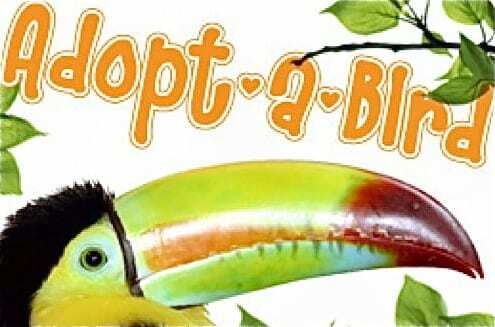 Check back soon, as we’re in the process of constantly updating the Parrot Adoption page and adding new birds. Let’s find these feathery babies some new and wonderful homes!!! And please consider to make a donation to help our cause!